It’s a while since I blogged, but I have a good excuse – I’ve been on holiday. Shortly after returning from Yarndale I was packing cases ready for a holiday in Corfu. 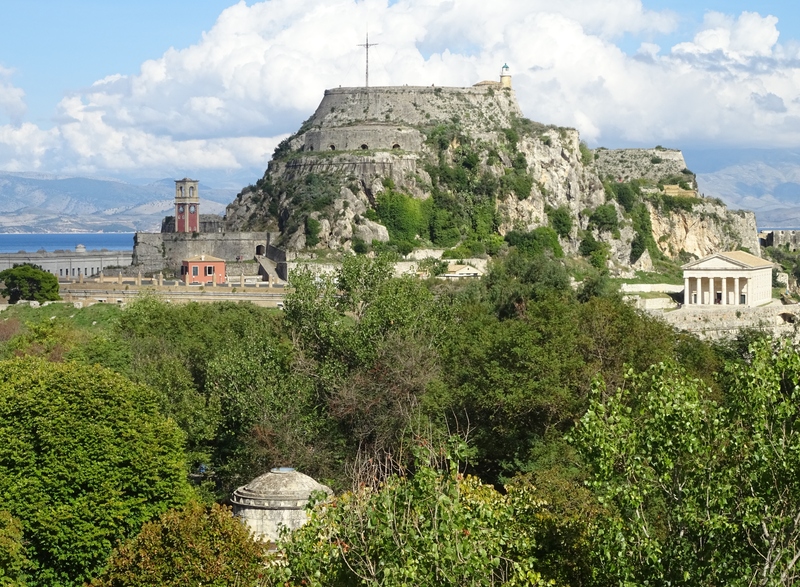 We love Corfu and have visited many times, normally in May or September. This year we had a few logistical problems getting a date for holidays, mainly because there was something happening virtually every weekend throughout May and September. However, it is still possible to fly directly to Corfu in October. 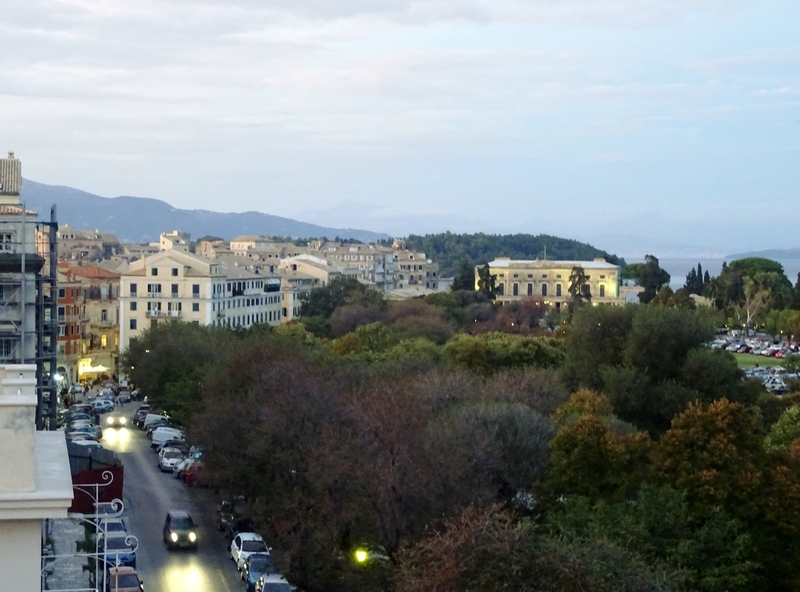 As we knew many holiday businesses will start to shut during October, we decided to do something a little different and book a hotel in Corfu Town rather than book a villa in the North East, hoping there would be plenty of activity in Corfu Town. So that is what we did, choosing our hotel carefully so that we had a good view and a short walk to the old town. The hotel was the Cavalieri, in an old Venetian building of character and a rooftop restaurant (with those views!). It was just what we wanted – not a large characterless box, no spa or gym, no pool but a tremendous location, lovely character, restaurant with a view and good service. 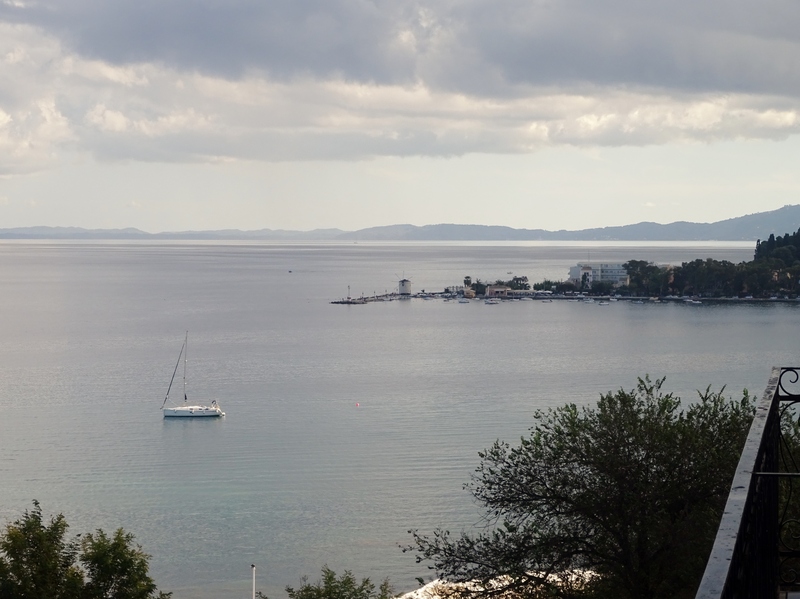 I am sure you will be wondering if I did anything yarny on holiday….well I did, but I’m saving up my Corfu yarny adventures for more blog posts – just watch this space!